OTTOVILLE -- James H. Martin, 88, of Ottoville died 8:40 a.m. Monday, January 28, 2019 at Van Wert Inpatient Hospice. He was born November 30, 1930 in Fort Jennings to the late Arnold and Ida (Wieging) Martin. On July 7, 1951 he married Patricia Schnipke. She survives in Ottoville. Jim is survived by 2 children: Dana (Virginia) Martin and Linda (Tim) Kaufman, both of Ottoville; a son-in-law: Daniel Metcalfe of Indianapolis, IN; 8 grandchildren: Michelle (Todd) Hanneman, Charles Martin, Jason (Anita) Metcalfe, Beverly (Alaric) Falcon, Emily (Cody) Risner, Erika (Adam) Norbeck, Natasha (Tim) Kramer, and Tonya (Del Marous) Kaufman; 16 great-grandchildren: Brynlee Hanneman, Cooper Hanneman, Cody (Kristen) Martin, Colton Martin, Cale Martin, Kellan Hepditch, Molly Hepditch, Sonia Metcalfe, Josie Metcalfe, Kendall Norbeck, Joanna Norbeck, Braxton Risner, Corbin Risner, Xander Falcon, Hazel Falcon and Archer Falcon; a brother: Robert (Dolly) Martin of Landeck; and 2 sisters: Bernice Rieger and Joan Wessell, both of Ottoville. He is preceded in death by 2 daughters: Kathleen Metcalfe and Sandra Martin; a grandson: James Metcalfe; a brother: LeRoy "Pep" Martin; a sister: Velma Altenburger; 3 brothers-in-law: George Rieger, Ronald Wessell and Jerome Altenburger; a sister-in-law: Virginia Martin. James retired from Philips ECG, Ottawa after 40 years of service. He was a member of the Immaculate Conception Catholic Church, Ottoville. He was a Marine Corp. veteran of the Korean Conflict. He was a member of the Fort Jennings American Legion. He was dedicated to his family, and family time at Matteson Lake was very important to him. He enjoyed woodworking and making toys for the grandkids. He enjoyed fishing and gardening as well. Mass of Christian Burial will be 10:30 a.m. Friday, February 1, 2019 at Immaculate Conception Catholic Church, Ottoville with the Very Reverend Jerome Schetter and Father Kent Kaufman officiating. Burial will follow in St. Mary's Cemetery, Ottoville with military rites by the Fort Jennings American Legion and Ottoville VFW. 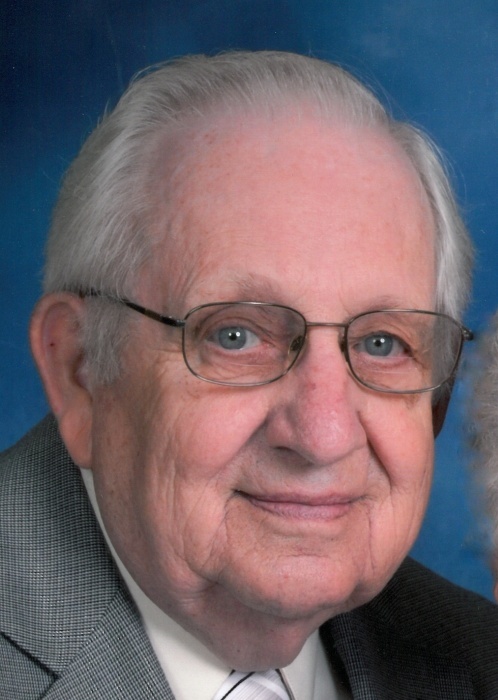 Visitation will be Thursday from 2 to 8 p.m. at LOVE-HEITMEYER FUNERAL HOME, Jackson Township with a scripture service at 1:45 p.m.
Memorial contributions may be made to the Immaculate Conception Catholic Church or to the CHP Inpatient Hospice. Online condolences may be expressed at www.lovefuneralhome.com.